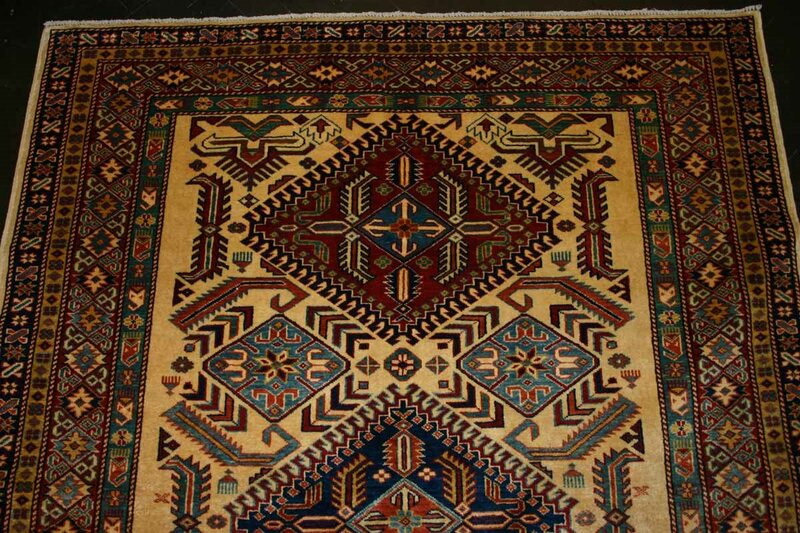 Kazak rugs are a type of Armenian rug that were woven in the south of Caucasus, between Tiflis and Erevan.The older Caucasian carpets are made with hand spun yarns of wool as well as the warp, weft and pile. 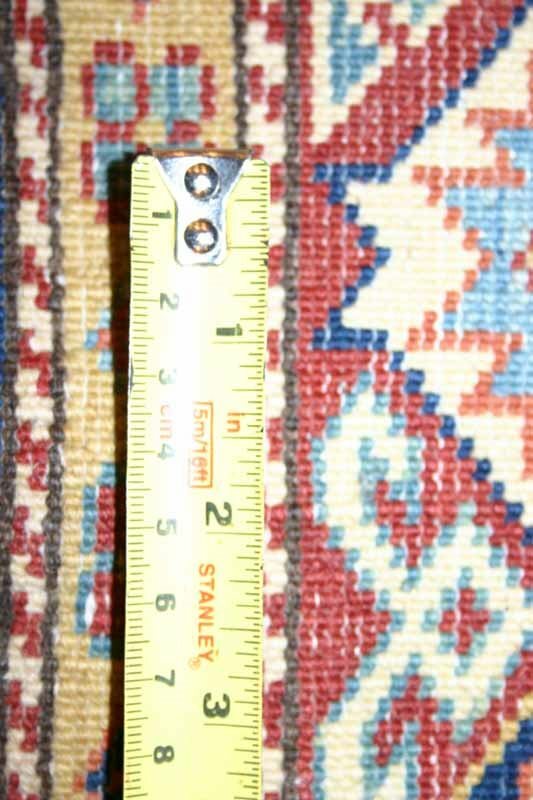 The natural colours are both clear and strong. 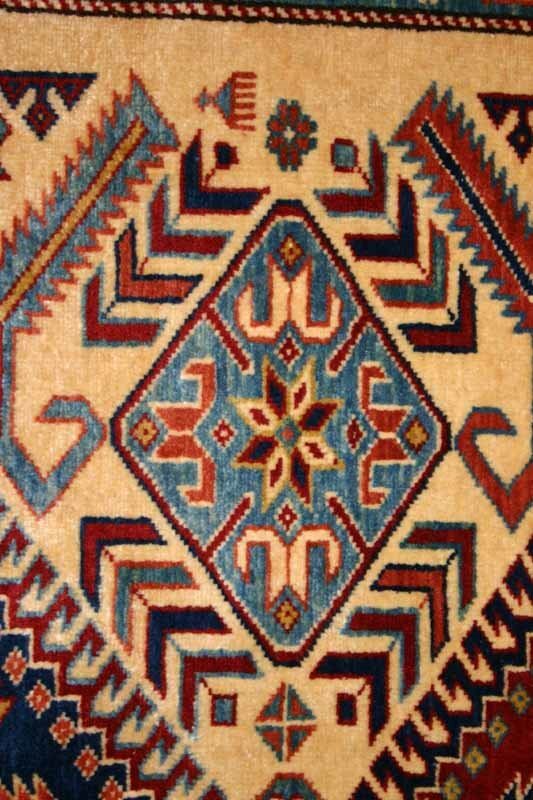 Good wool quality and Turkish knots make the carpets durable and they have a good reputation. 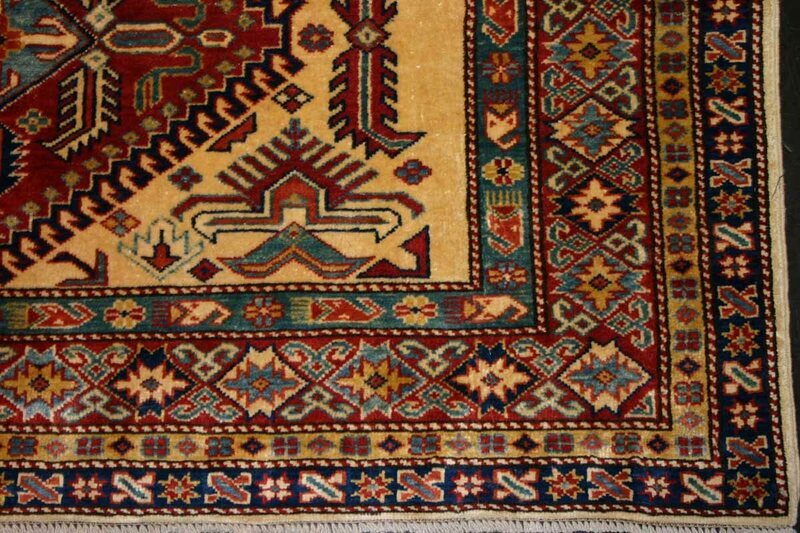 In newer carpets, made after 1925, the warp is of cotton, with synthetic colours that are bleached and fewer and simplified patterns are used. 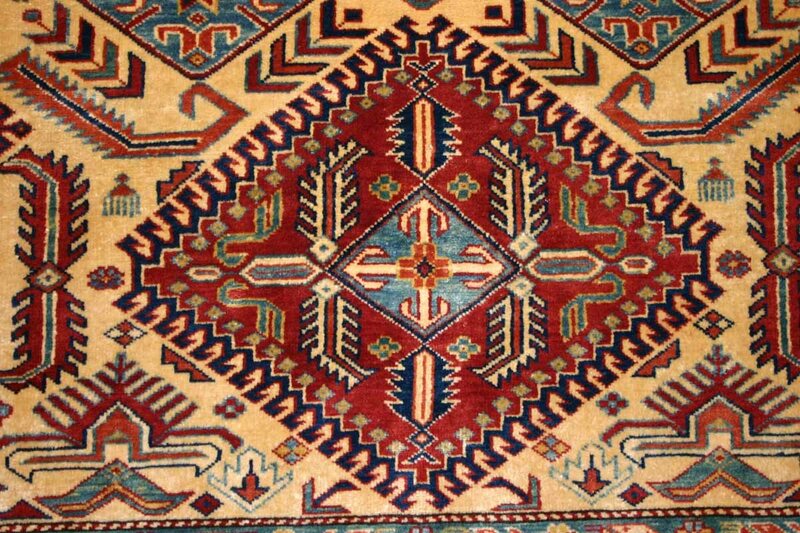 The carpets are fairly durable All Caucasian carpets are made with a Turkish or Giordes knot "Kazak" carpets are not from Kazakhstan but are from an area in what is now Armenia. 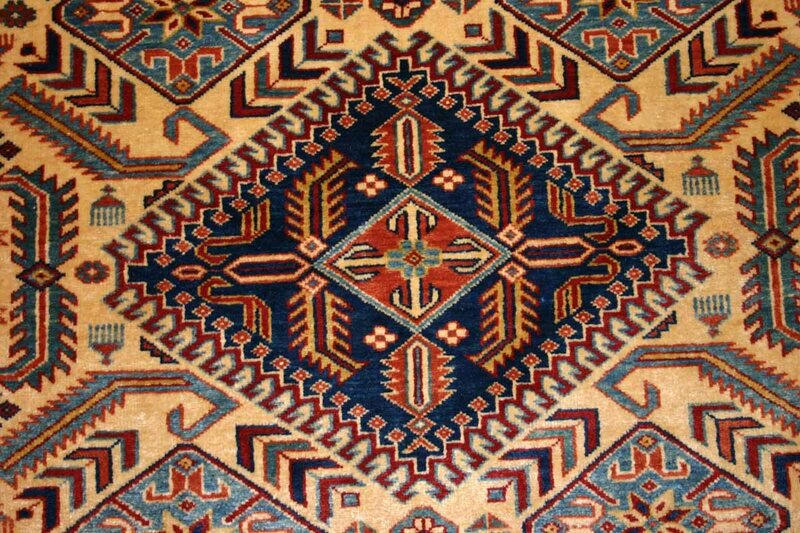 The word probably derives from the Russian for Cossack - originally Christian Russian and Ukrainian serfs who fled from feudal landlords, and who were noted for their brutality. 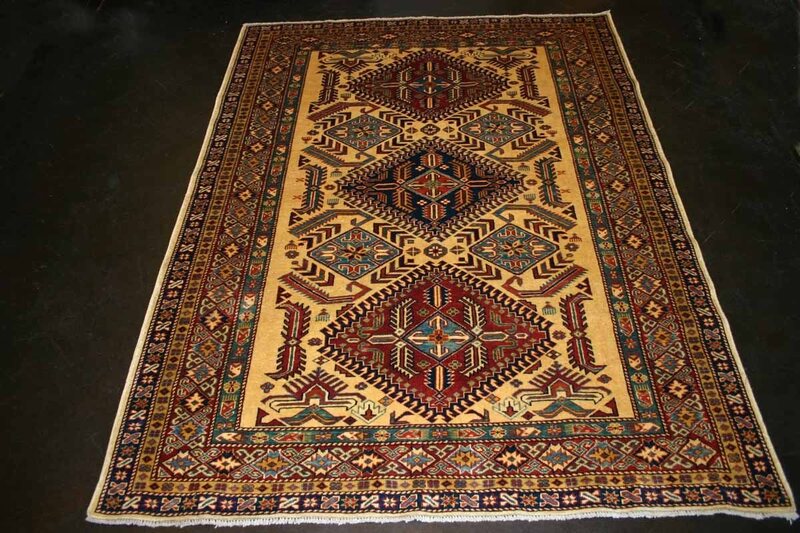 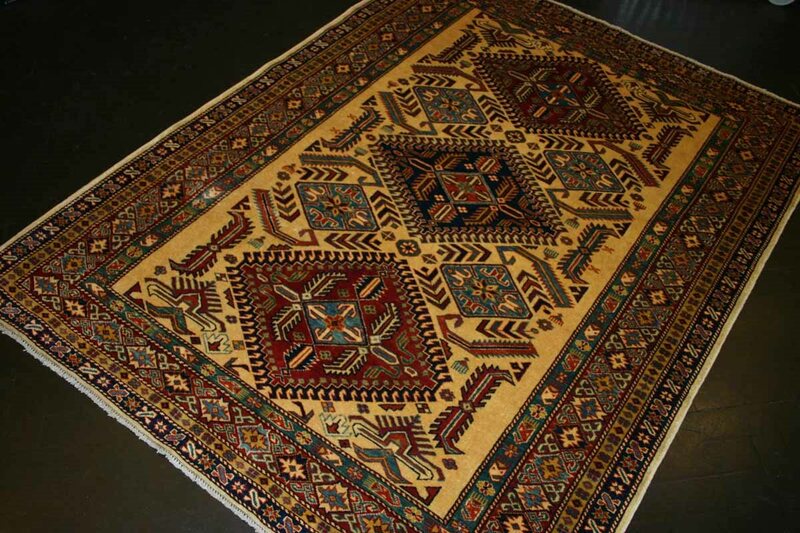 The colours of older Caucasian carpets are mostly made from natural materials found in the respective tribal regions. 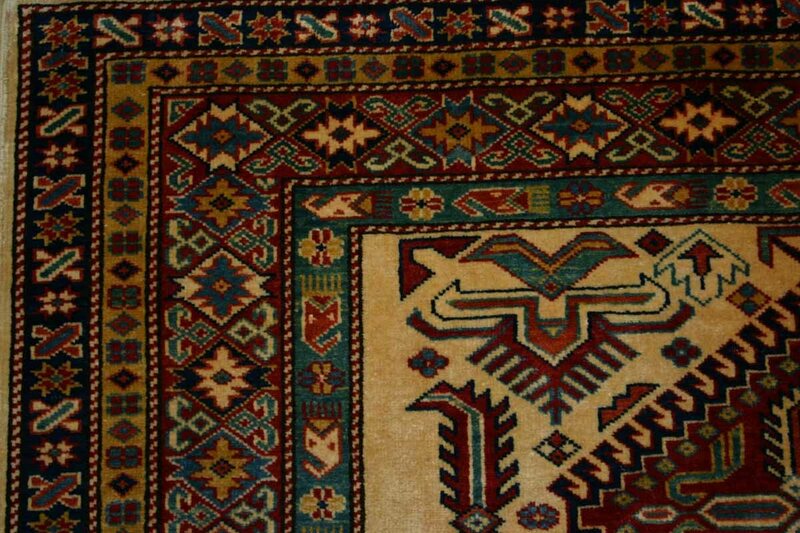 FREE DELIVERY ON THIS RUG within UK mainland.